I love that quote and in the past few days I have been able to live it. Since coming home Bekkie and I have been spending so much time together and I already feel like she’s been in my life forever. That sounds cliché but I don’t know how to explain it? We’re so similar but so different it’s odd. For example I’m fiery and can blow up in 2 seconds and Bekkie is calm and considers things, this works in our favour very well if we’re together. I’m in a friendship where we can use our strength to help the other persons weakness. Another thing? The girl makes me laugh until my sides ache. The amount of laughter that was coming out of my room last night anyone would have thought we were incredibly drunk (we weren’t by the way). That’s another thing I never need alcohol to have fun with Bekkie, it doesn’t interest us but we still have a damn good time. If I’m honest I couldn’t have asked for anyone better on my courses. I’m aware I sound like a sap but friendships are very important at university especially because you WILL meet people who put your back up. Through my half field I’m counting about 4 right now, they are also on Bekkie’s list as well as Trish’s (another lovely girl who is currently in all but one of my classes, also another Harry Potter fan). I should put some tips into this blog seeing as I’m actually writing at as a kind of freshers guide. 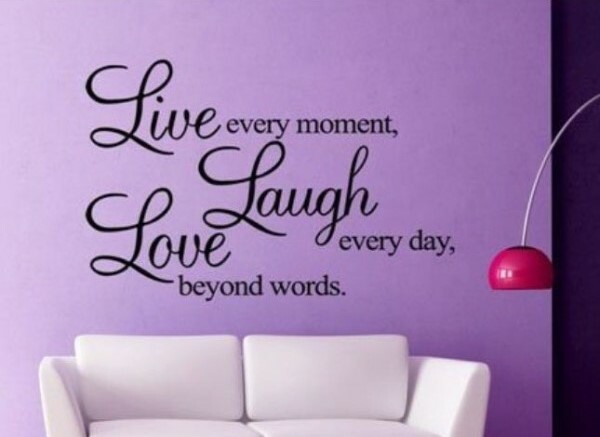 Although the title is ‘Live,Laugh,Love’ you don’t all the time. In my short 3 weeks here I have seen people nodding off in lectures. The topics can be a bit dry and according to one of my lecturers are supposed to drive you mad ( yeah you try and work out that logic, I still don’t get it) and sometimes it’s the people. Some people think they’re at university because they are apparently experts and feel that the lecturers (with all their years of experience) cannot simply be right because it doesn’t agree with THEIR standards. I’ve encountered a few of these people, you can’t even call them know it all because they’re often wrong and generally people get irritated. I have heard that this is is common in many different field so watch out! What I’m trying to say ( I think) is that you don’t have to like everyone, in fact there is a possibility you wont. University introduces you to so many different walks of life that your bound to have different opinions. Although Bekkie is my closest friend I have other friends on my course ( Jake, Trish, Rhys, Christie and others) and many friends in other fields (Ali,Charlee,Joe, Conor, Ben, Kym, Jodie, Tom, Jay, Tess, Amy, Jamie, Alexia are just a few). That’s another thing! Don’t spend time with just the people on your course, I think you’re at risk of losing your mind if you do. So there you go, I’m loving life at the moment and there are some handy hints for any would be freshers! Tomorrow night I’ll be seeing Sir Trevor McDonald at a talk at the uni! Excited is an understatement!